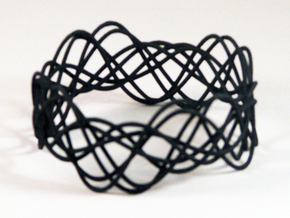 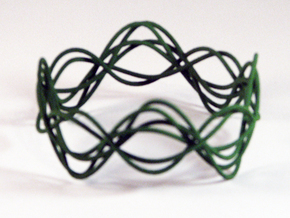 This series began as an exploration of a Mobius ribbon on a circular and elliptical path; a half turn, 180 degrees, and full turn 360 degrees evolving to four full turns and then replacing the ribbon with two rods, the edges of the ribbon itself. 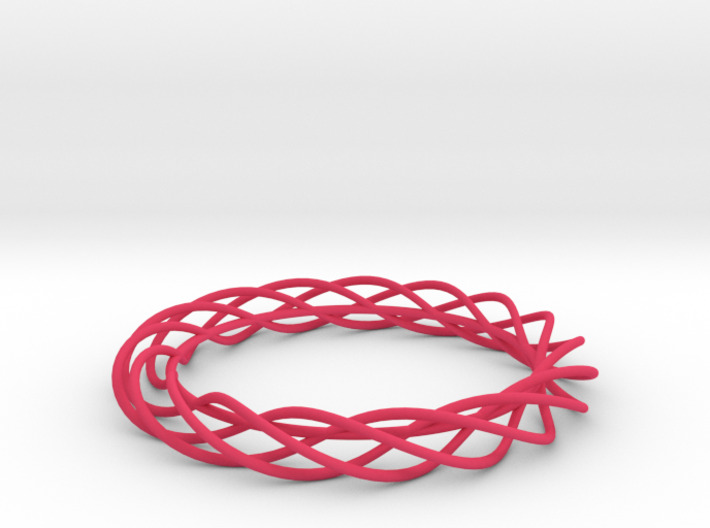 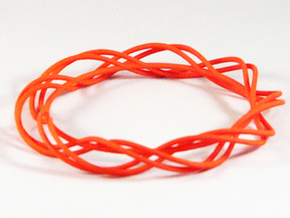 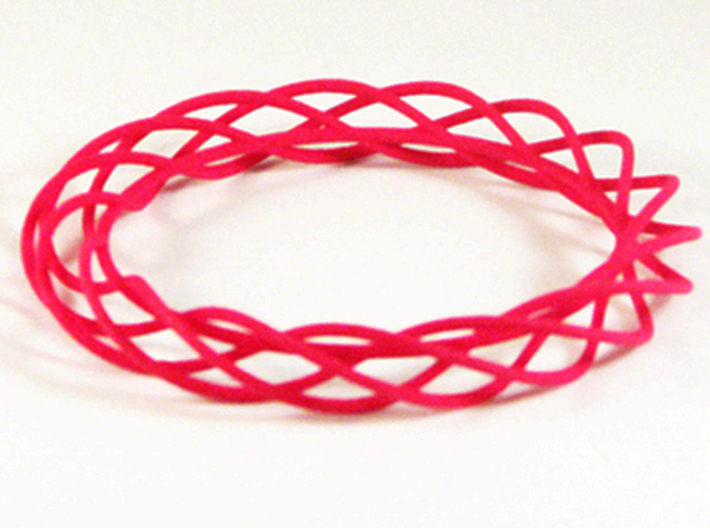 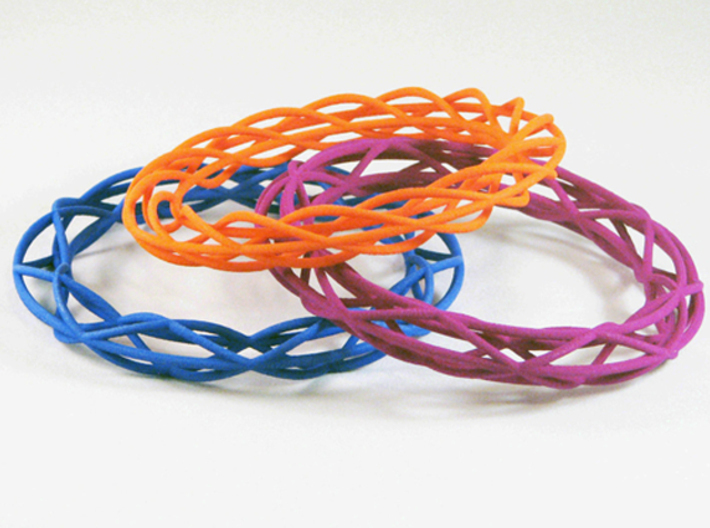 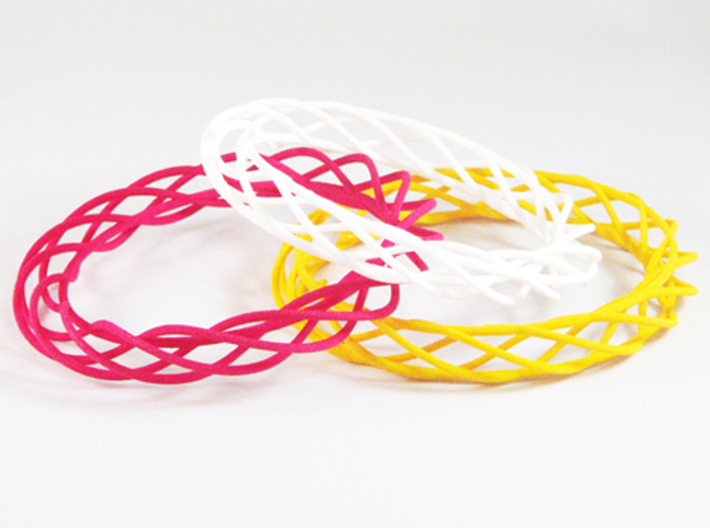 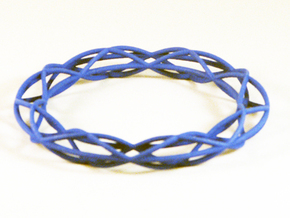 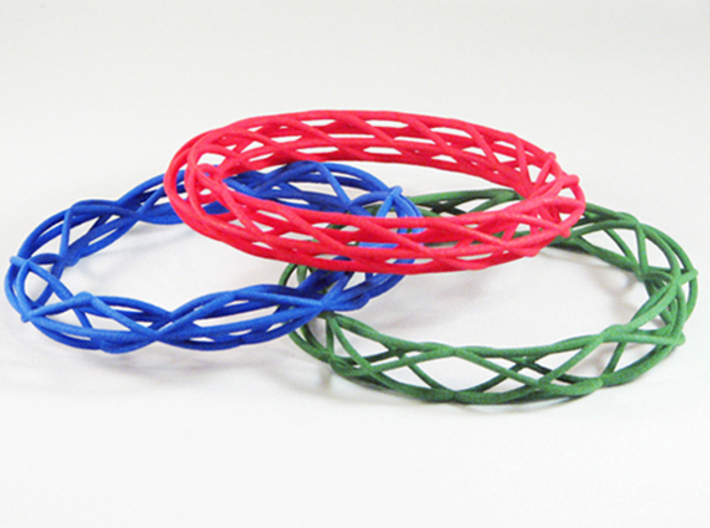 Since the two rods never touch, the twists end up floating free, requiring another rod to hold them together to make a bangle. 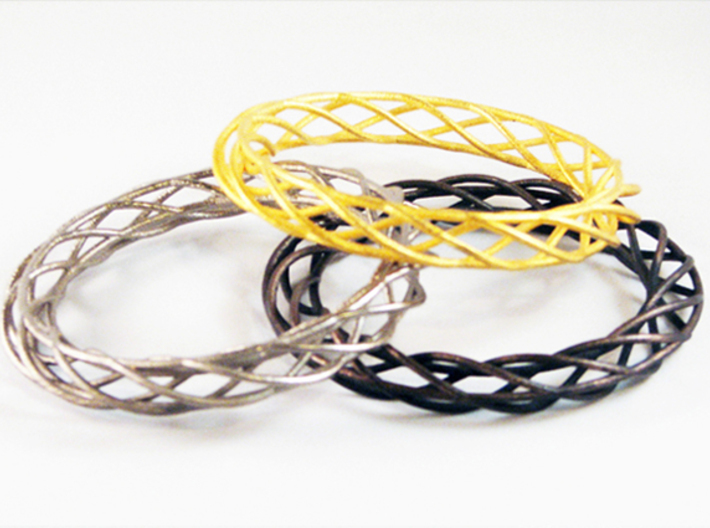 This bangle is constructed by two twisting rods covering four revolutions of 360 degrees each, they are only held together by a single circular rod on the inside of the bangle.